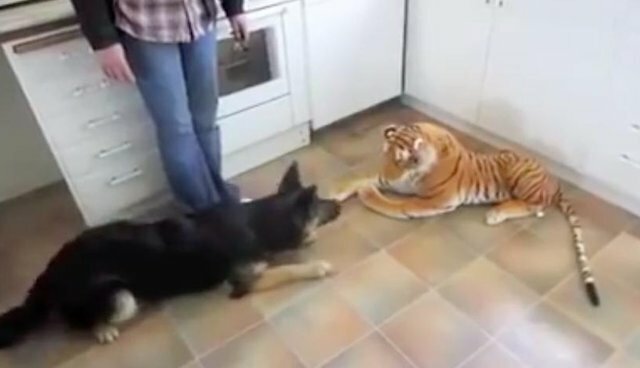 This dog has never met a tiger before, but he's smart enough to know not to mess with one. 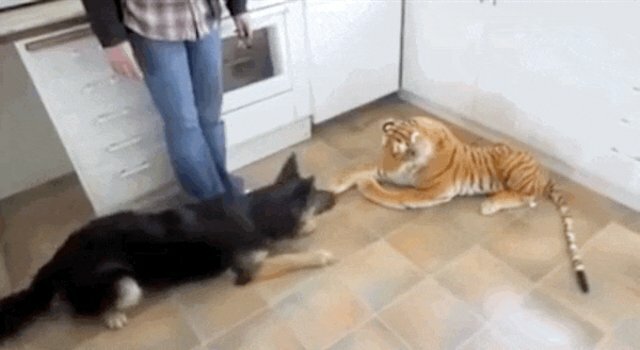 In a video posted on YouTube this weekend, an energetic German shepherd is introduced to a realistic stuffed tiger. 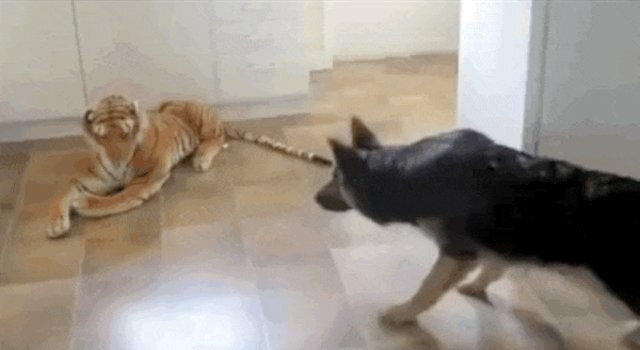 Despite the assurances of his owner that the toy is safe, this pup refuses to take his word for it. 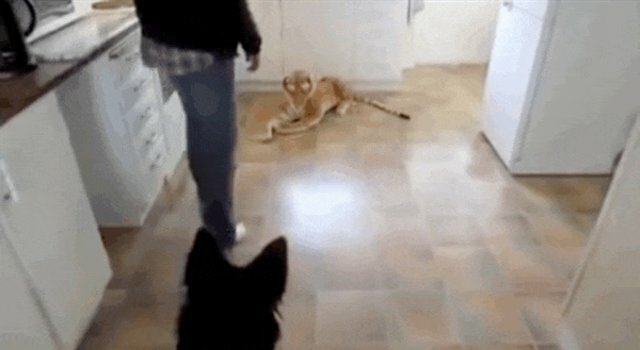 "Stand back, human. I'll protect you." "Are you sure about this, human?" 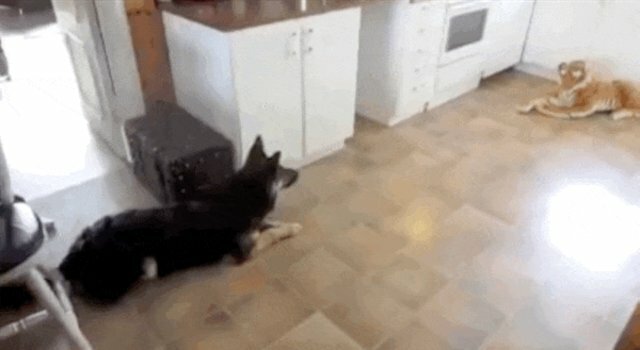 "IT MOVED. IT MOVED IT MOVED IT MOVED." 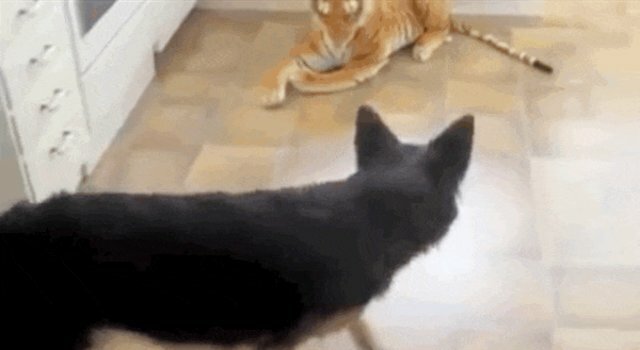 Don't worry, pup. 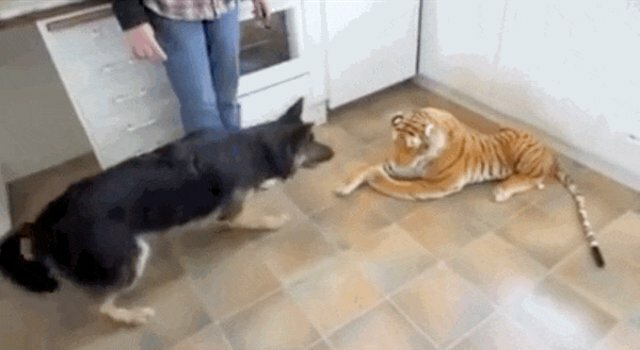 You're not the first person to be fooled by a stuffed tiger. You can watch the full video, complete with barks and whimpers, below.